1 year eh! Very cliche I know but it has went in so fast and running my blog for a year has been completely different from what I expected. Before August last year I didn't know what a beauty blog was. I had no idea the blogging world existed. Just before my birthday last August I decided to google smokey eye makeup looks and started to come across a few blogs and then you tube videos and then for the next 2 months became slightly obsessed with them and then one day decided that I would start up my own. At this point I wore very little makeup, I owned 1 foundation, 1 brush, 1 mascara a blush and a few random pink lip glosses. I had no idea about makeup so when I decided to start up my blog I looked at it like a full time job. As I had no clue about what it fully involves I decided to ask a few beauty bloggers on twitter how much they spend on makeup a month so I sort of knew where to start. I can't believe the difference in me now from then! Just shows you though even if you put your heart to do something and you generally have no clue then sometimes the risk pays off! I know now 365 days,108 posts,5314 tweets, an empty bank balance and few events here and there later that blogging is much more harder than I first thought. The time and effort required is huge and really does take up a lot of your life. I still enjoy every minute of it though and when I am to busy to write I just can't wait to get back on and I am always thinking about my next post. So I want to thank each and every one of you that follow me on my blog, twitter, instagram and facebook as obviously without you there would be none of this so A BIG THANKS FROM ME! Happy Blog Birthday to you!!! Congratulation on your pretty page. Happy blog birthday! I just turned one, too! 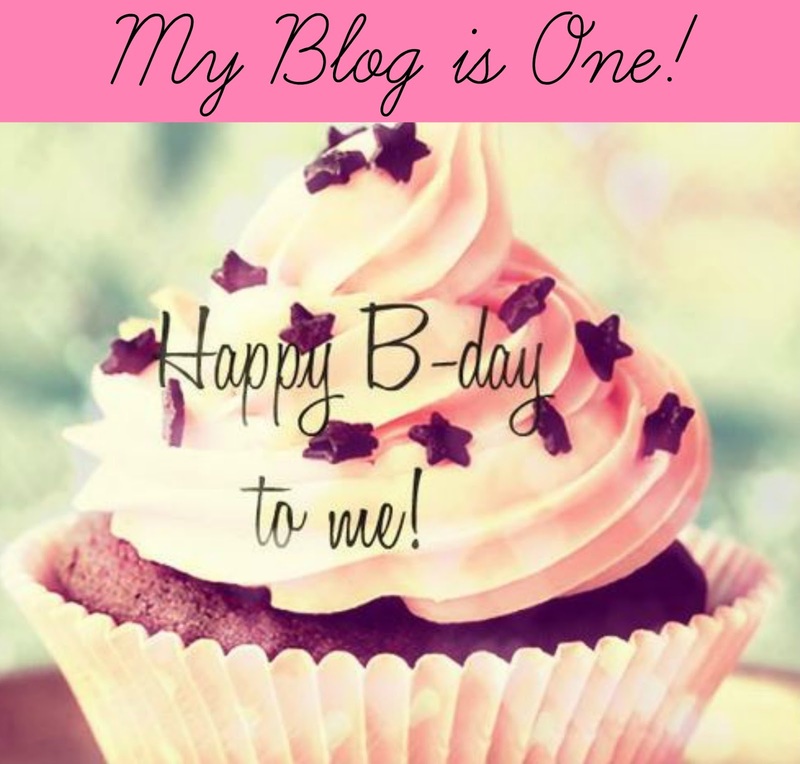 Happy Blog Birthday and glad I found you via Paint the UK Pink!